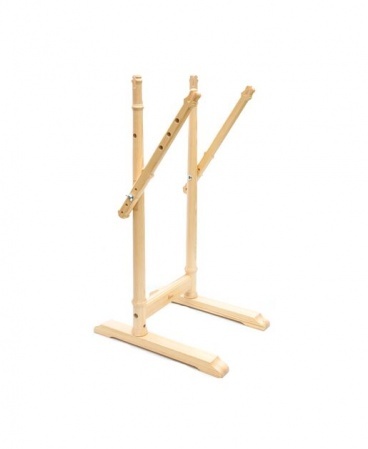 Kromski stand for your rigid heddle loom. 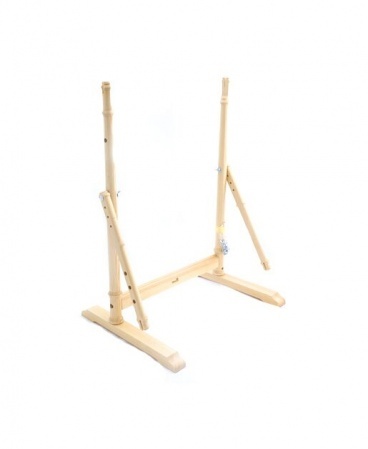 Do you need a loom floor stand? Without a stand, the weaver sits with the front beam on the lap and the back end of the loom angled up against a table edge or workbench. This gives you a good view of your work and allows the light weight of the loom to be backstopped by your body weight as the beating is done. This is the traditional way to hold and work this type of loom. But what if you don’t have a suitable table or counter in the room where you want to weave? What if you want to weave on the back porch one day, under the tree in the backyard tomorrow, upstairs next week and so on? What if you want the convenience of just standing up and walking away from the loom when the phone rings? These are some of the advantages of a loom stand. 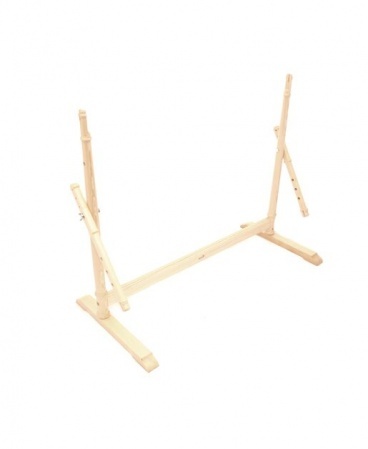 • the Kromski stand is adjustable allowing you to set the angle of the loom. 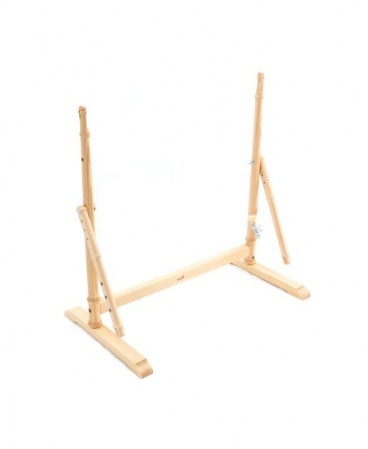 • the stand can hold your loom when you use the warping board which is on the back of the loom. • the stand stores the warping pegs if you don’t want to keep them on the back of the loom. • the pegs can create handy shelves on each side of the stand to hold stick shuttles or balls of yarn. Price is for Stand Only, Loom sold separately.